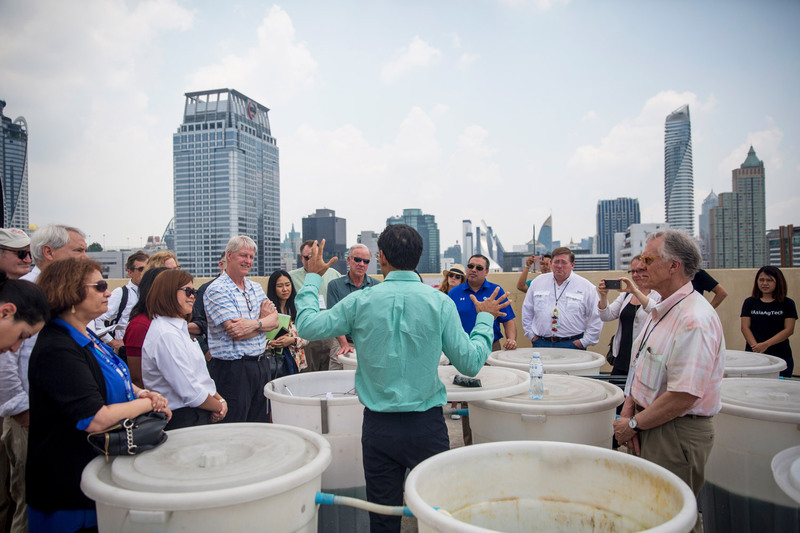 Two countries, six days, nine projects: Winrock's Board of Directors visit Thailand and Nepal. 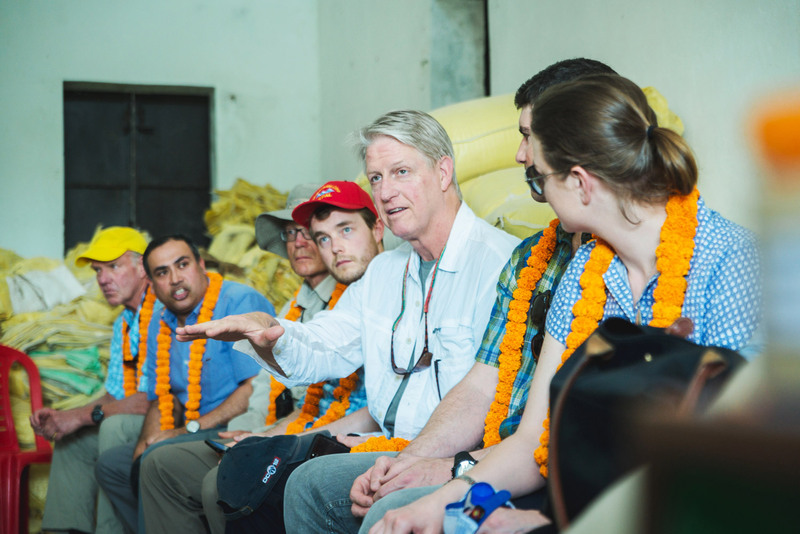 It’s 95 degrees when Winrock CEO Rodney Ferguson and seven other members of Winrock’s board of directors arrive at the fresh vegetable production group and collection center in Deupura, Taulihawa, Nepal. 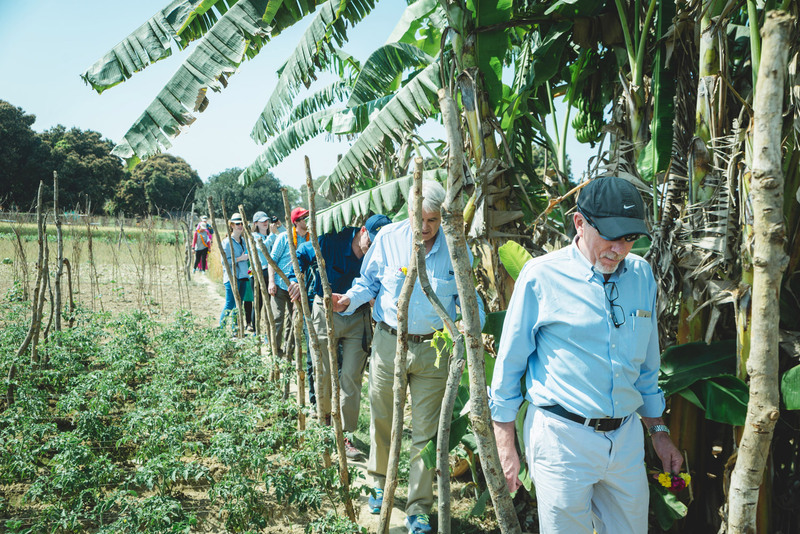 The team has been on the move since early morning, but they quickly fan out to see plots of cucumbers, tomatoes, gourds, cowpeas, eggplant and chilies ripening in the sun. The vegetables are thriving in the sandy, loamy soil of this region, only miles from the Indian border. After touring the fields, farmers and visitors gather in the slightly cooler vegetable collection center, an open-air building with concrete floor, fiberglass roof and bins of tomatoes and gourds — a fraction of the 275 megatons of vegetables that moved through the center last year. Winrock’s USAID-funded Knowledge-based Integrated Sustainable Agriculture and Nutrition (KISAN) project revived the collection center and helped farmers commercialize their crops, yielding anywhere from $1,000 to almost $4,000 a year. 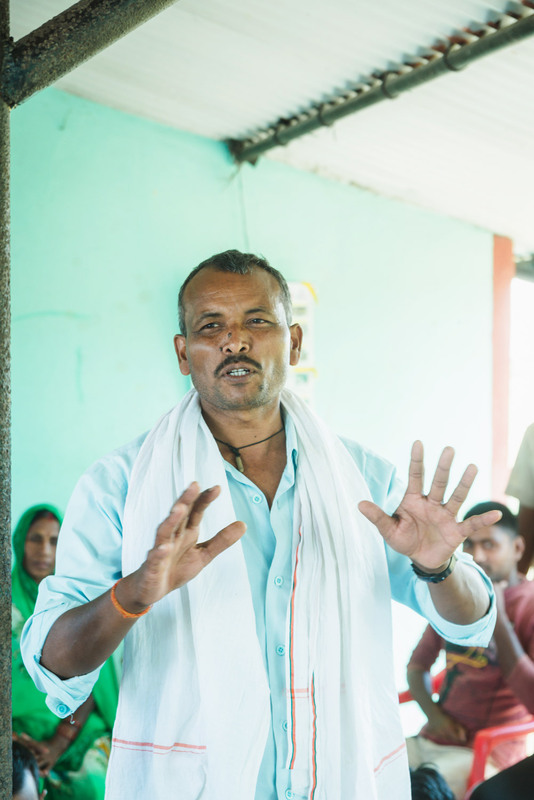 Overall, KISAN helped more than 118,000 Nepali farmers improve their practices and incomes. “How do you select which vegetables to grow?” board member John Nees asks the farmers. From there, the conversation moves to challenges such as perishability (up to 40 percent of the crop is lost to spoilage), cold chains (there aren’t any in Nepal) — and then to the good news — how farmers use their increased incomes (educating their children and building new homes). 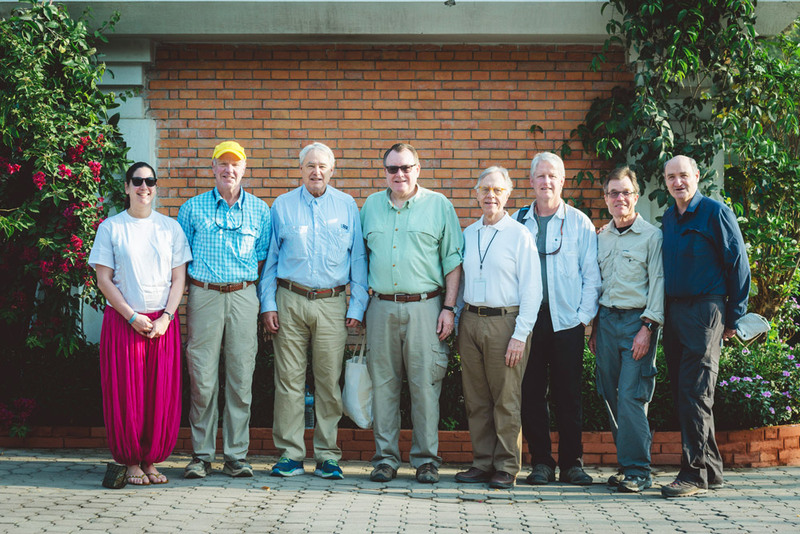 The Winrock board members gathered for this trip — Chairman Bronson Van Wyck, Jerry Adams, Samar Ali, Dave Braman, Bill Bumpers, Rodney Ferguson, John Nees and Peter O’Neill — listened, probed — and cared. When the farmers were asked how many of them have bank accounts, all of them raised their hands. This prompted a jubilant “Woo hoo!” from Van Wyck. 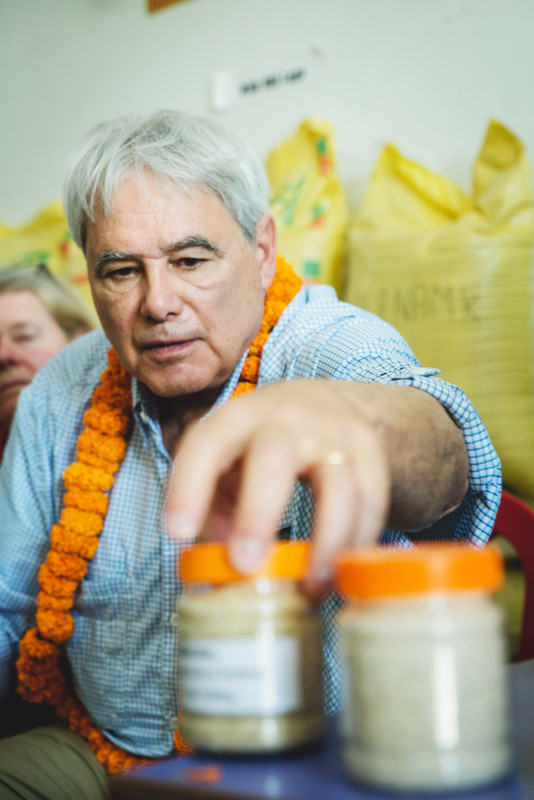 The farmers’ group meeting was just one of many stops on a whirlwind tour of Winrock’s work in Nepal and Thailand, countries where the organization has been for decades and its work is both broad and deep. In addition to the vegetable collection center, there were visits to a seed store, rice mill and wholesale market. Agriculture projects weren’t the only ones on the agenda. There was a ride in a three-wheeled electric vehicle that Winrock introduced to the streets of Kathmandu more than a decade ago through the Kathmandu Electric Vehicle Alliance (it also helped a group of women drivers purchase their own vehicles). 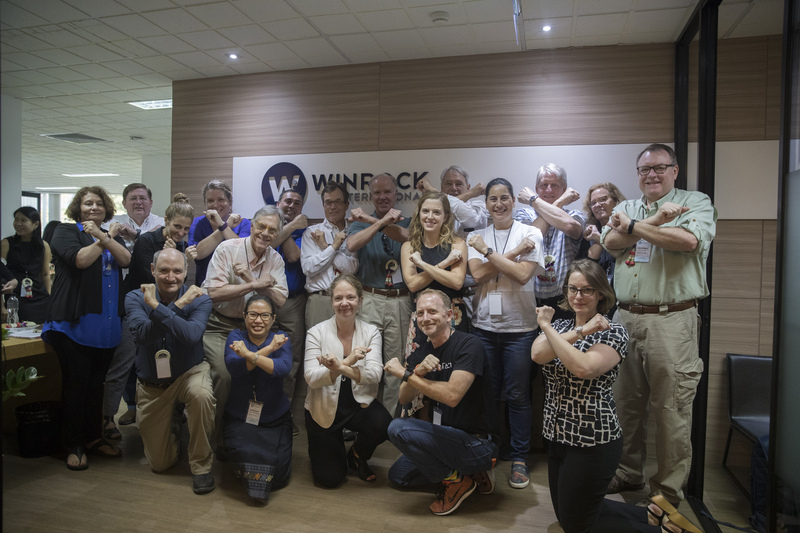 And there was an ample introduction to Winrock’s work in the counter-trafficking field, including a visit to the Fishermen’s Centre at a Thai port, where public and private sectors join to help migrant workers. Winrock has two counter-trafficking projects based in Thailand — the USAID Thailand Counter Trafficking in Persons and the USAID Asia Counter Trafficking in Persons — and one in Nepal, the USAID Hamro Samman project. In Kathmandu, board members leapt to their feet in a standing ovation after watching a group of trafficking survivors act out their pain and triumph in a dance that one of them had choreographed. Board members also got a glimpse of Winrock’s past when they lunched with former Agricultural Development Council (A/D/C) scholars on the trip. A/D/C, one of Winrock’s predecessor organizations, built capacity through education. The scholars who received those scholarships are now serving as leaders in government and the private sector. The six-day trip wasn’t all work. There was a gathering with the U.S. 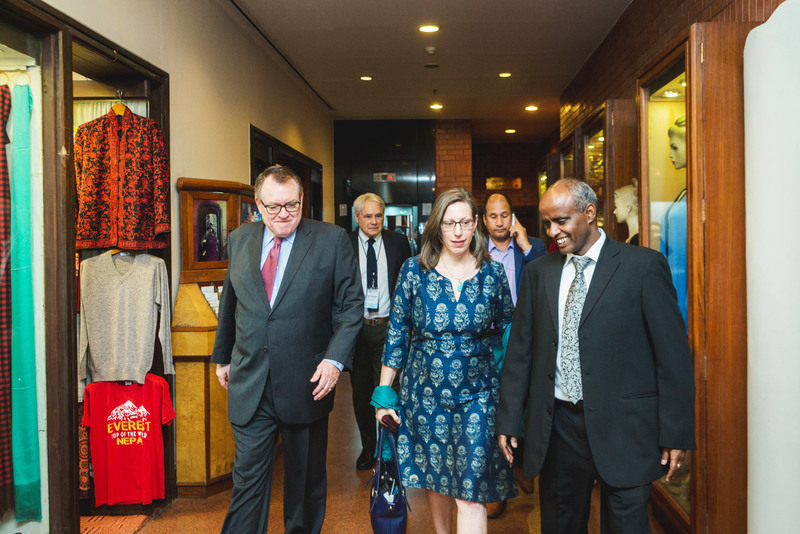 Ambassador to Nepal, Alaina Teplitz. 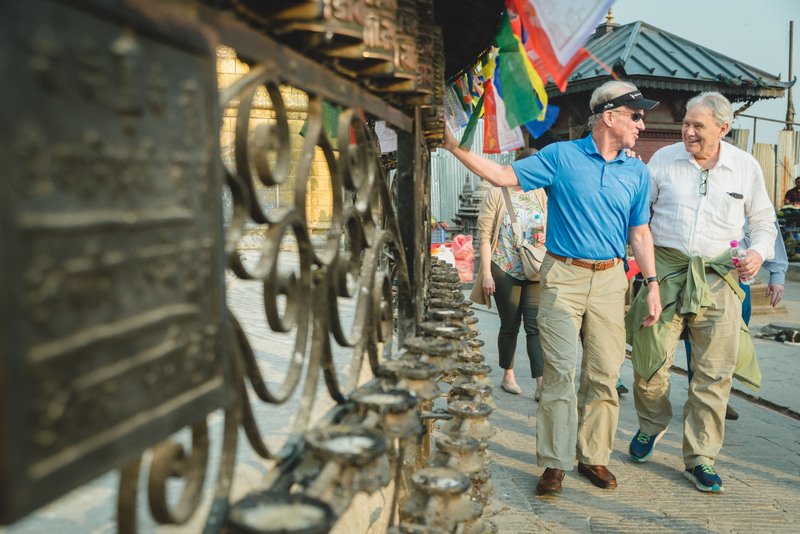 There were quick stops at Nepal’s Lumbini, birthplace of the Buddha, and Swayambhunath Temple, where visitors were warned to beware of monkeys that grab food out of your hands. 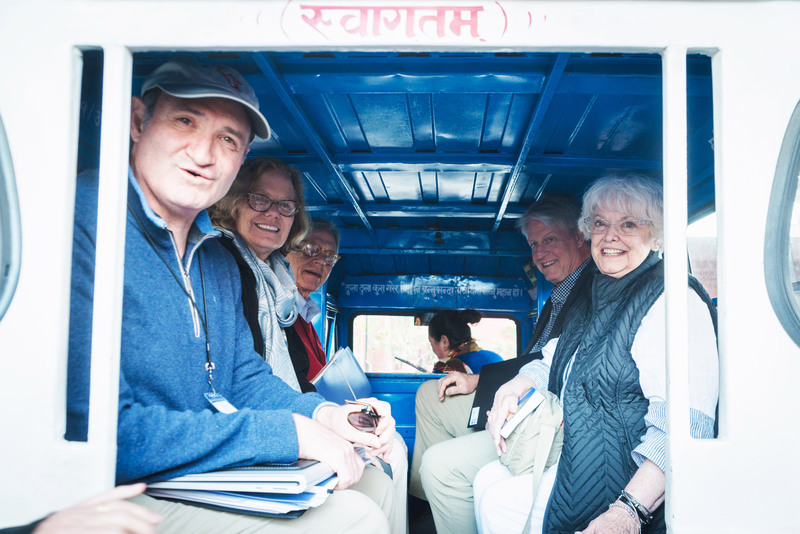 But mostly, the trip was a way for board members to learn first-hand about the work they support. “Six months ago, one of our board members said, ‘I’m tired of meeting around a conference table in Washington, D.C. 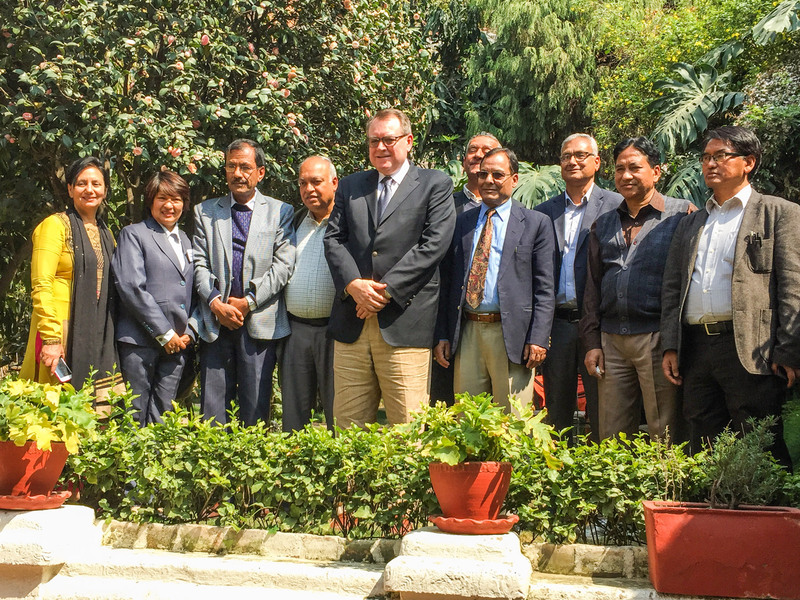 I want to see what we do,’” Ferguson told a gathering of local staff in Nepal. “I took that as a gentle nudge to get out in the field.” And the rest, as they say, is history.